The institution that brought us the business-school case study, Harvard Business School, was itself the subject of a front-page case study in The New York Times earlier this month. The case study is not about a pricing strategy, leveraged buyout, or marketing plan. It describes a multi-year, organization-wide initiative on gender equity. 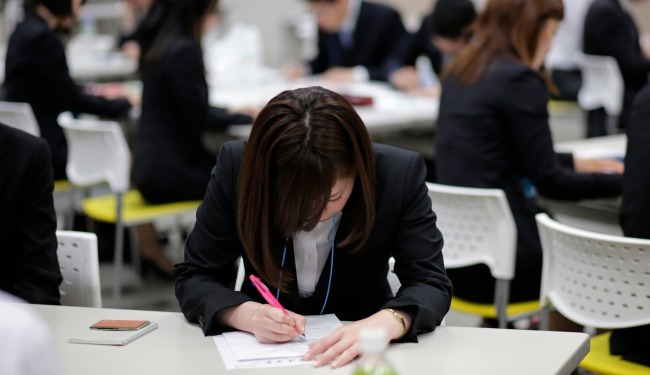 A pressing problem triggered the school’s self-examination: Year after year, women were entering the MBA program with the same test scores, experiences, achievements, and aptitudes as men but then receiving lower grades. As a result, far fewer women were attaining the Baker Scholar distinction of being in the top five percent of the class—a prestigious award that opens doors to jobs and career opportunities. Did women’s lower grades suggest something in the school’s culture might still be limiting women even 50 years after they were first admitted? One possible explanation for the grades gap was gender bias in the grading system—specifically, in faculty members’ subjective assessments of students’ participation during class discussions. So a solution might have been to reduce the weight of such participation or replace it entirely with objective assessments, such as tests, quizzes, or problem sets. But the case method, which teaches “a managerial point of view” through discussion, analysis, and debate, is a centerpiece of the HBS education. (Most business schools use the case method to some degree, often choosing from the 15,000 cases published by Harvard Business School. This video shows an example of a case discussion in progress.) This method hones a way of thinking, collaborating, and persuading others that mimics real business situations and equips students to do well in the business world. Mastering these skills is a critical part of the school’s pedagogy, so eliminating or reducing the class participation component of a student’s grade wasn’t an option. Rather than eliminating or reducing the class participation component of a student’s grade, then, the school introduced changes to the grading system. These included installing scribes in classrooms so professors would no longer rely only on memory of who said what when assigning each student a class participation mark. A software tool gave professors data, by gender and other dimensions (for example, English as a second language), about how they were grading and calling on students during class discussions. The changes apparently worked. In 2009, when women represented 36 percent of the student body, they comprised only 14 percent of the top five percent of a 900-person class. By 2013, they numbered 38 percent—nearly matching their 39-percent representation in the class as a whole. Such enviable progress should encourage other professional graduate schools and universities to adopt similar changes. Yet making organizational change is complex and nuanced – and probably doomed to fail if launched with an expectation of a quick fix, for example, by only deciding to track grading patterns. So I asked Professor Robin Ely, Senior Associate Dean for Culture and Community at Harvard Business School, what was involved in narrowing the grade gap. It’s important to put it in context. First, Harvard Business School constantly seeks to improve students’ educational experience. Our learning model is built on the idea that students and faculty learn from one another. This approach requires students’ ongoing, active engagement in the learning process through a combination of individual preparation, small-group discussions, classroom participation, and post-class reflection. When students participate in each of these activities fully, they enhance not only their own educational experience but also that of their peers. When we learn that someone—anyone—is having difficulty taking full advantage of our learning model, we help. For some, that involves feedback on how to participate effectively in class; for others, it involves tutoring on how to take case-based exams; for still others, it might be review sessions on particularly difficult material. In this spirit, the school has instituted many practices over the years to enhance faculty teaching and the quality of students’ in-class experience. For example, we periodically install scribes in our classrooms, which helps reduce the cognitive load on professors, giving them more bandwidth to effectively facilitate discussions while also eliminating possible sources of bias. Another example is an online tool a colleague developed a number of years ago to help us track class participation. It facilitates daily grade entry and gives us immediate feedback on our call patterns: Are we overlooking international students, women, hands on the right side of the room, the left side, the back row? Who has not spoken for several classes in a row? These practices were designed to ensure that all students—not just women—have an equal opportunity to participate. Second, we treated the gender grade gap as the canary in the coal mine—a signal that our culture may have been more supportive of some students than others. We neither considered grades to be an ultimate measure of a student’s success nor eliminating the grade gap to be our primary goal, but rather grades were one possible indicator of a student’s ability to fully thrive at the school. Third, we launched the Culture and Community Initiative with the goal of enabling all members of our community—students, faculty, and staff—to reach their full potential. As part of this, the school has undertaken a series of self-assessment-and-change projects, one focused on MBA students, a second on the faculty, and a third on alumni. (A staff project is anticipated in the future.) In the student and faculty projects, the initial work on diagnosis and feedback is meant to lay the foundation for a cycle of discussion, reflection, and experimentation leading to change. Fourth, we could not improve our culture without engaging our students in the process. They understand the student culture at a granular level—they live it every day, they own it. And they have been amazing partners: They hold our feet to the fire, and they have undertaken a host of initiatives on their own to improve students’ educational and social experiences. So how did the school narrow the gender grade gap? It’s impossible to point to any one thing because we are constantly innovating—in our learning model, our teaching practices, our curriculum. No question, however, that increasing awareness on the part of both students and faculty was key. Our public recognition of the gender grade gap was the first, critically important step. But we aren’t finished: Our culture is a work in progress. Ely is co-author of a Harvard Business Review article that describes subtle, even invisible, barriers to women’s progress in organizations. These barriers are called “second-generation bias” because deliberate exclusion from opportunities rarely occurs anymore, but subtle cultural barriers often persist in an organization’s DNA that put women at a disadvantage. I asked Ely if the change initiative at Harvard Business School is an example of second-generation bias and, if so, what others might learn from it. What other educational institutions—in truth, what many kinds of institutions—could learn from our experience is that the gender challenge we face today is the challenge of “second-generation gender bias.” Second-generation forms of gender bias aren’t the result of conscious, discriminatory intent; rather, they arise from a million micro interactions, cultural assumptions, and historic ways of doing business that still carry the imprint of our history of gender hierarchy. There are no silver bullets for dealing with second-generation gender bias—not scribes in the classroom, not software that ensures all students have a chance to participate, whether male or female, on the left side of the room or the right—because no two or three things hold women back. Instead, cultural beliefs, organizational practices, and individual actions have kept us from realizing the equality that Harvard Business School set out to accomplish over 50 years ago when we first admitted women to the MBA. The only real way to address second-generation bias is to make apparent to everyone in the community the outcomes it produces—outcomes no one consciously intends. Was the gender grade gap one such outcome? We honestly didn’t know. Some of my colleagues suggested an alternative explanation: Are women underperforming relative to men because we’re admitting less qualified women—to get the numbers up? Being social scientists, we turned to the data, did extensive analyses, and discovered, no, that did not appear to be the case. And one by one, we examined many of the explanations held in our community, until at last it became impossible to deny the role of second-generation gender bias. Then the conversation began in earnest. And for several years, we’ve been picking up the tempo, until at last today it is a serious, ongoing conversation across our entire community of students, faculty, alumni, staff. It’s only in that community-wide conversation that the multitude of micro interactions, implicit biases, and traditional practices can be comprehensively addressed. And that’s what we’ve been doing, taking steps—large and small, in our institutionalized practices and in the informal interactions in which we daily engage both in and out of the classroom—to ensure that women have equal opportunities to thrive. The Dean of Harvard Business School, Nitin Nohria, writes that raising the question of gender issues on campus made them publicly discussible, a watershed moment. The problem was real and needed to be addressed. There was no going back.